Do Fans Want A The Haves and the Have Nots/If Loving You is Wrong Crossover? Have you ever thought of a possible crossover with Tyler Perry's The Haves and the have Nots and If Loving You is Wrong? Certainly, it would be an interesting move if it ever did happen. 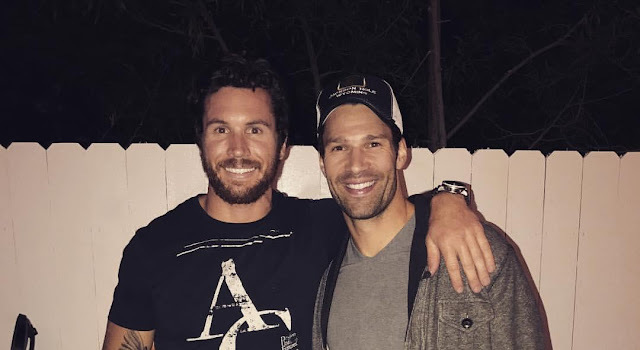 With stars such as Ryan Haake [Steven, ILYIW] and Aaron O'Connell [Wyatt, HAHN] as such good friends in real life, it would be an intriguing thing to see them together on screen. What if Haake's character Steven Simmons was to crossover to HAHN and arrest drug addict Wyatt Cryer? Or Wyatt showing up on ILYIW to expose Steven as an undercover drug addict? Haake sure wouldn't mind a crossover as he posted a picture of himself and O'Connell and shares " Who thinks there should be a Haves and Have Nots / If Loving You Is Wrong crossover? ...Don't forget to tune in tonight to If Loving You Is Wrong on". What do you think fans? Would you like to see a crossover happen someday? Soap Opera News: Do Fans Want A The Haves and the Have Nots/If Loving You is Wrong Crossover?